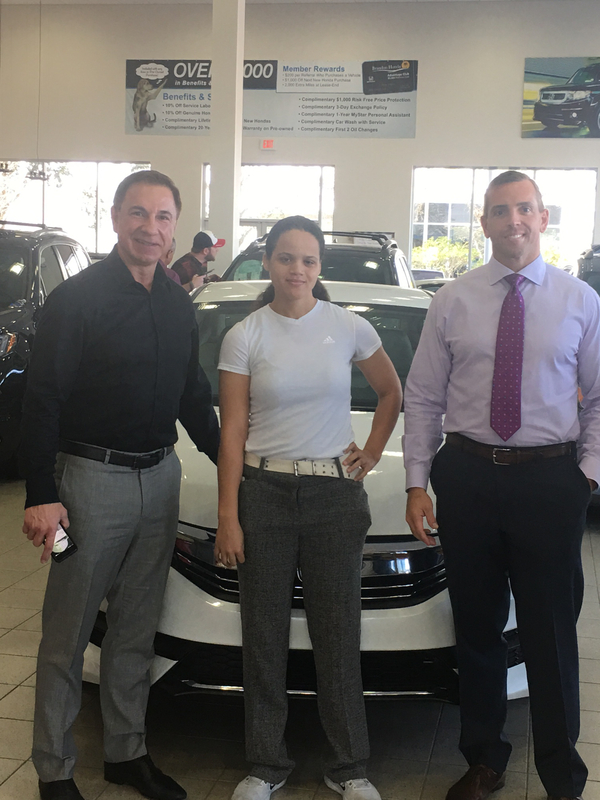 Alexis wins a new Honda! 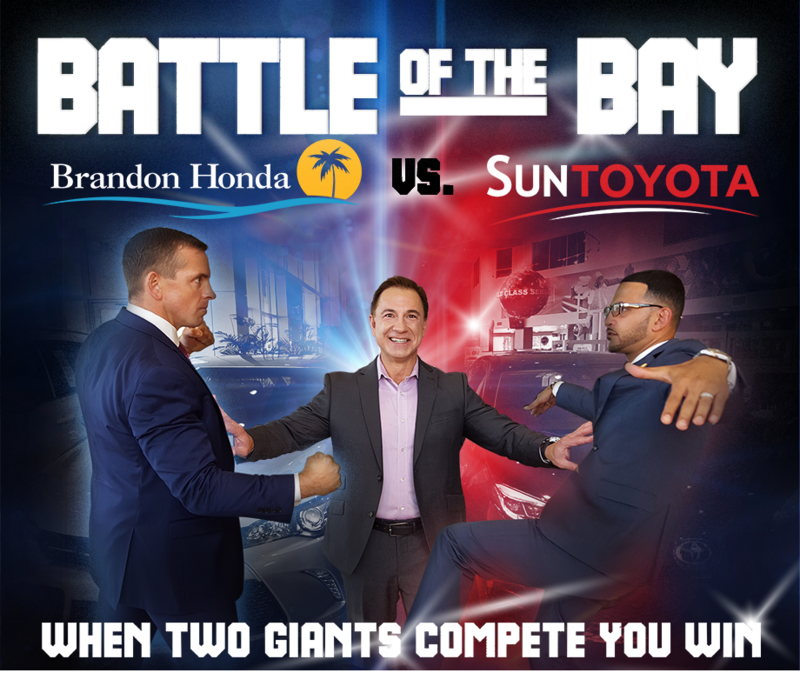 BATTLE of the BAY pits Brandon Honda against Sun Toyota! Who will sell the most cars? An epic competition has begun! Sam Raabe of Brandon Honda is taking on Ferris Hamden at Sun Toyota to see who will sell the most vehicles to rule the Bay! When two giants compete, you better believe that you will WIN!